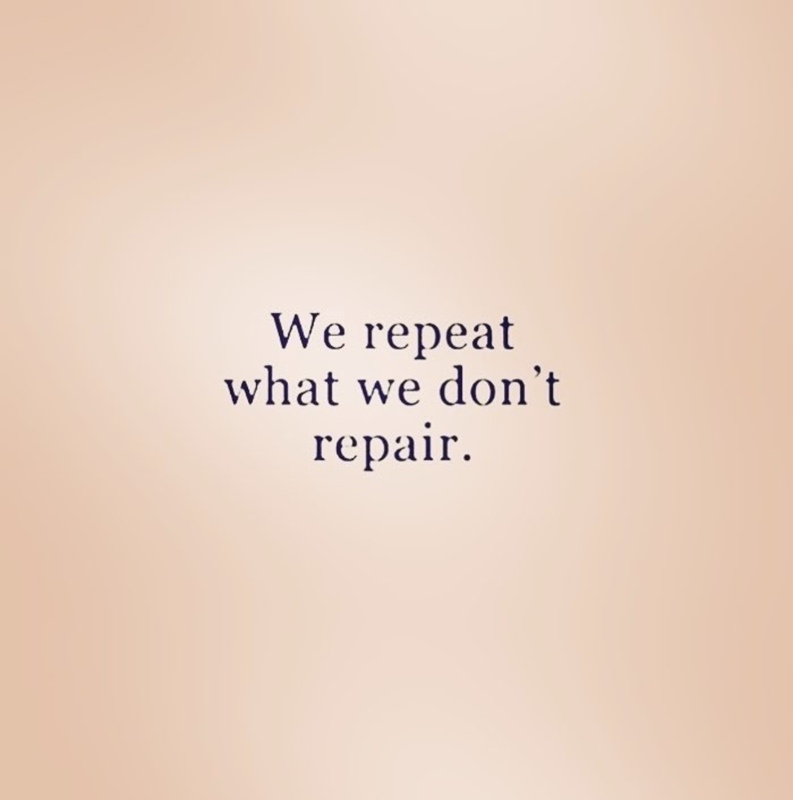 What are you repairing, healing and creating in your life right now? What lenses are you currently looking at life through and what do you sense is required for you to make a change right now? My lessons seem to be revolving around forgiveness and returning to love, over and over again… I do not condone the negative behaviours of others, but I do choose to say, I refuse to buy into this wider collective consensus of greed, command and control; of getting one over on the next human and unhealthy competition. I refuse to hate on those who move from hate or fear. I especially refuse to believe that there is not enough to go around, that there isn’t a kinder master plan with our names on it. I refuse to believe that the old order is the only way. I believe in the emergence of creative leadership where everyone has a stake and responsibility to be and do. What about you, what do you believe? When we choose to look within, we learn how to move from a wisdom that’s communicated through body, mind and spirit. If we can apply this to all our relationships on the outside, new systems will be created. This is not an easy ride, as the human ego is a danger to us all, but it is the only way for us to turn the titanic around. The divine feminine is urging us to create and birth new ways of being together on this planet… Can you hear her calling your name and are you ready to create, together? 1. Create a special place to retreat into. Slow down and tune into your heart’s whisper – what is your deepest desire right now (in this moment)? 2. Ask yourself not what can I get today or how can I get to my final destination, but what can I create today and with whom? 3. What can we count on you for, what is your contribution to your workplace, home, this planet? (To get started, break this down into one essence or value, such as hope, love, healing, truth, belief and then make empowered & embodied choices that reflect this). 4. Feel and honour your emotions. You are not a robot, but a human being with valid feelings that when felt with an open heart, our emotions can lead to inspiration. It’s important to listen to your emotional self because it’s your gateway to healing, wellbeing and wider creativity. 5. Choose one small action daily that will take you into a resonant spot and keep recommitting to your heart’s true desire and creative core.